There is no industry more competitive than the real estate industry. There are very few ways to differentiate your services from the next sales agent or broker. 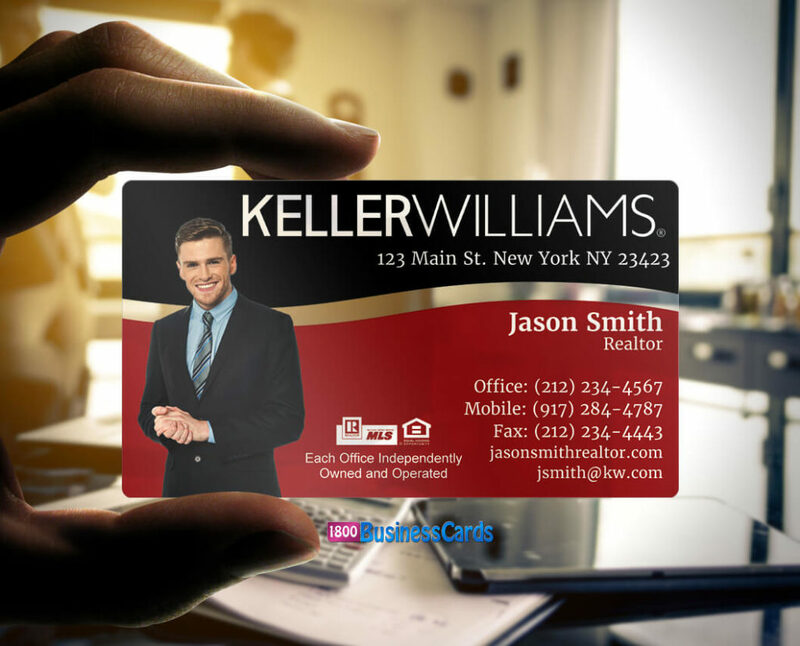 The one communication or networking tool that all realtors share in common is a business card. It is a necessary tool of the trade and everybody has to have one. So why not make yours memorable. In fact, creating impressive business cards is a growing trend. 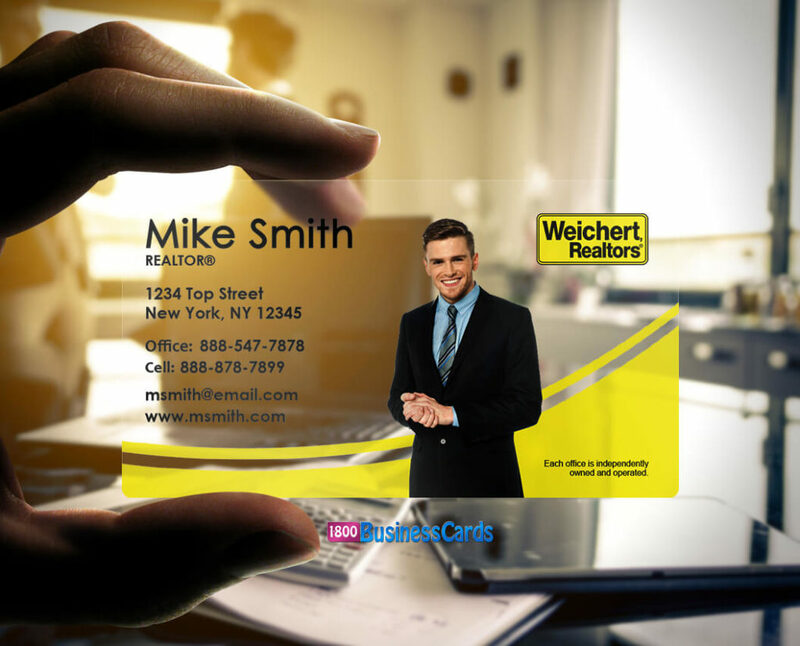 A small and growing group of realtors understand that a great business card can help separate their services from the competition. The better the quality of the card the more likely a potential customer will hold on to them (see some of our work!) and have the ability to refer you to a friend or an associate. A positive statement can be made about you the moment your business card is presented. The surge in demand for a higher quality card has contributed to a growing product line of materials used for business cards. Although a well designed silk business card or suede business card can be a standout paper option, no material is considered more elite and memorable than plastic. It not only allows for unique and extraordinary designs, it is waterproof, durable, and long lasting. More importantly, it is easy to create online and available at an affordable price. 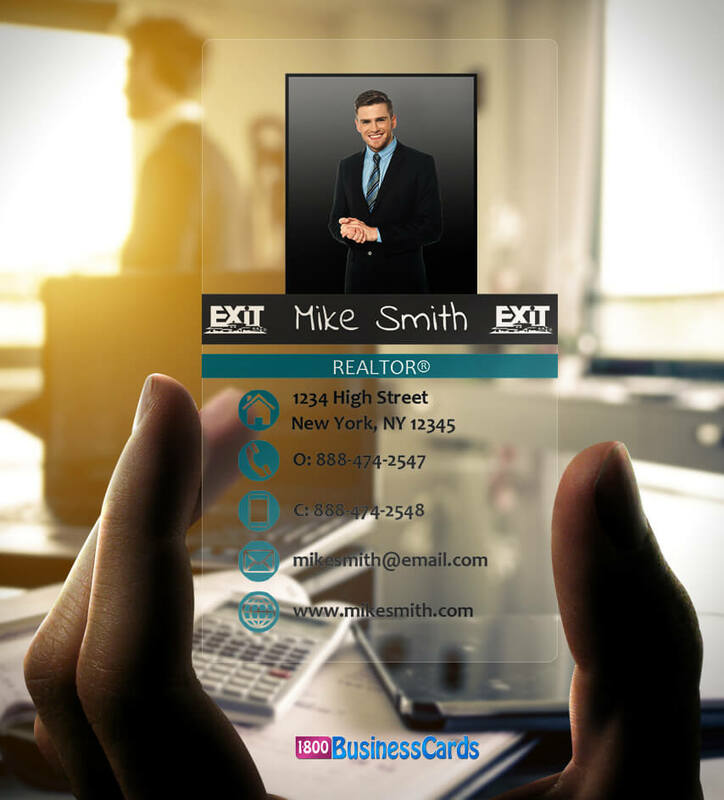 Below you will find just some of the real estate plastic business cards available at 1800businesscards, and we feel they should be on the list for the Top 10 real estate plastic business cards. Our Coldwell Banker business card is the plastic business card of the week. Let’s face it, the real estate business is very competitive. Your business card is one of the very few ways to differentiate your services from the competition. 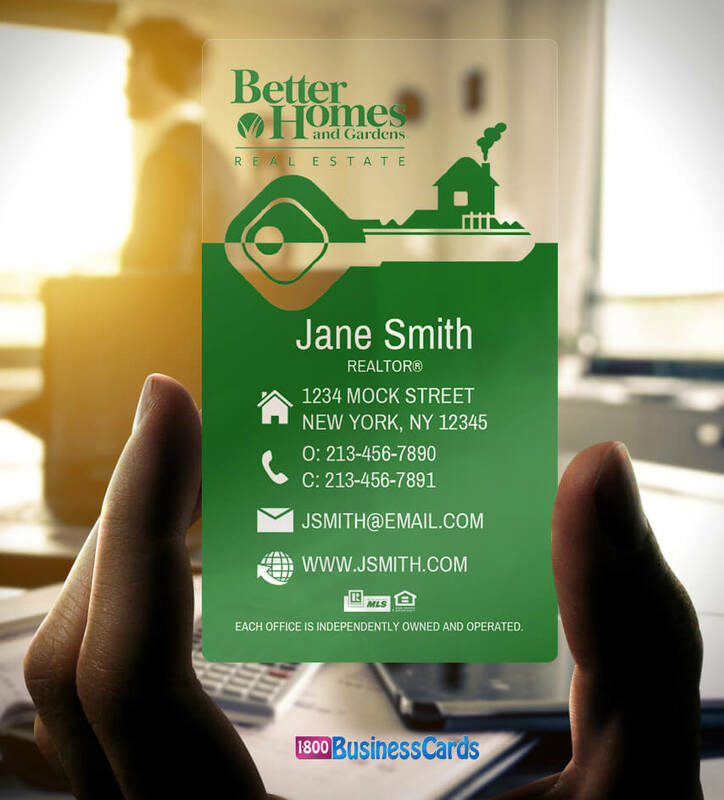 The highest quality business card is without a doubt clear plastic and the choice for elite realtors. It tells your client or potential client that you take your business very seriously and it says the services you provide are the highest quality available. More importantly, it is memorable and less likely to get tossed. In fact, it may spur conversations with other potential clients and act as a continuing marketing tool for your business. Very few business cards can offer this type of potential. 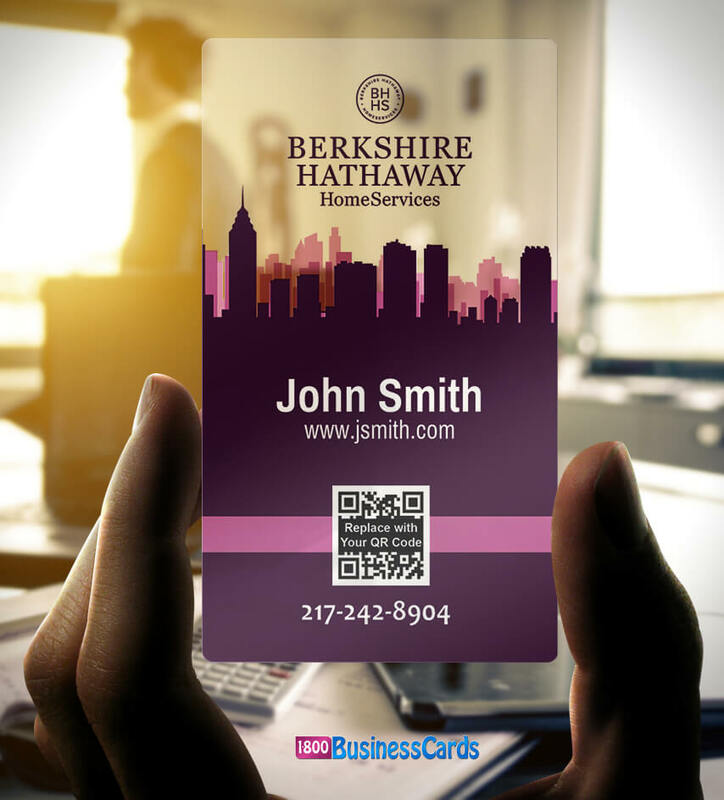 Another great feature with this card is that it is easily created online at 1800businesscards. There is no need for graphic designers or any kind of design background. You can customize this exact plastic business card design and tailor it to your office with your contact details in one or two minutes. 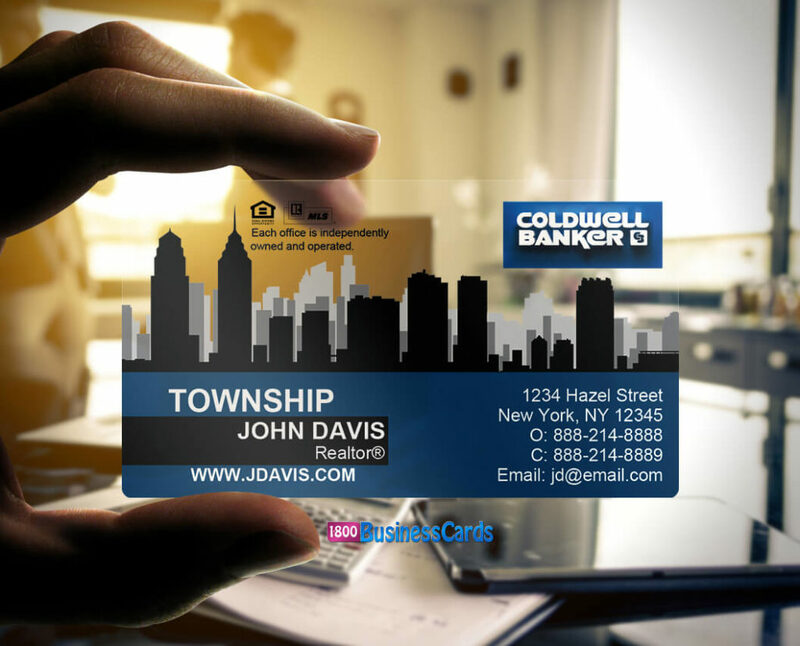 If you are looking to make a statement to your clients create your very own set of Coldwell Banker plastic business cards today. 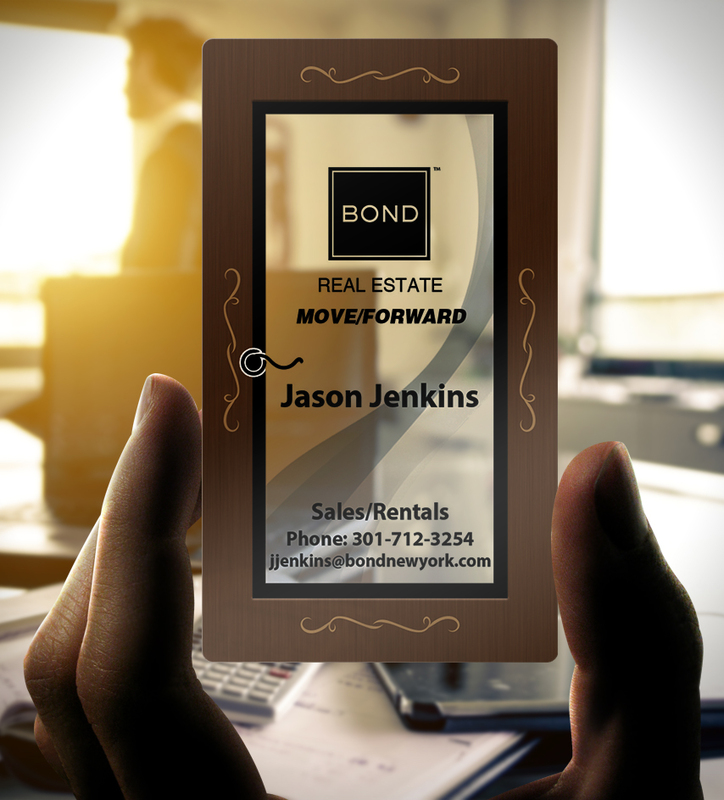 Our plastic business card of the week is the “Bond” real estate card. This design is great for demonstrating the extension of one product into another product. This design can represent a door manufacturing company or it can be extended into the real estate industry. Clients that receive this card can easily associate a door with being an integral part of a home, and why a realtor would be handing this business card out. The extension or association can be applied to so many different design ideas and which is why this is the business card of the week. Almost any product can be associated with multiple product images and it can really make a powerful statement on the client. Plastic business cards not only demonstrate high quality and a commitment to a client, but they can also show creativity and leave a lasting impression. 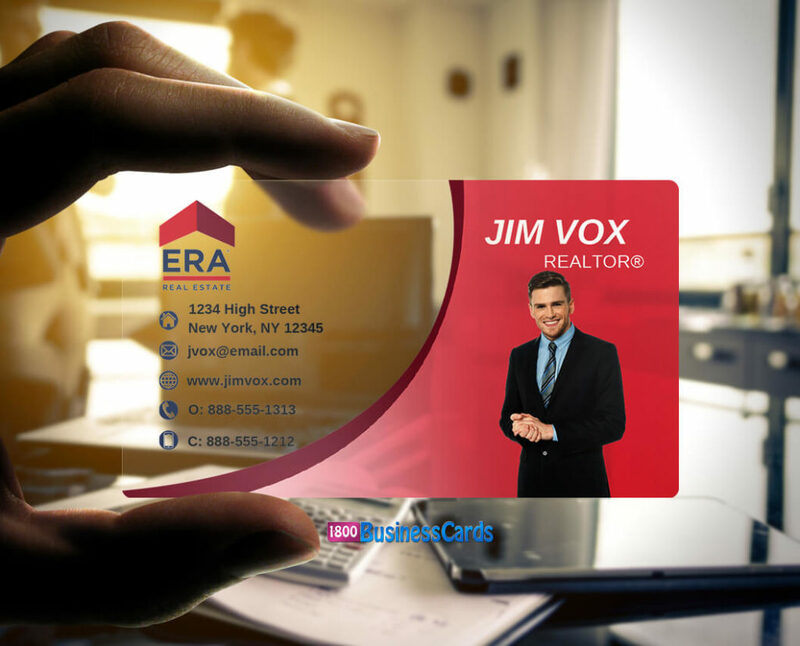 The next time you are creating a business card think about how combining clear plastic and a product image can represent your company, brand, or message in a thoughtful and creative way. Plastic business cards have been exploding in popularity in the real estate industry. As the booming real estate market makes obtaining clients insanely competitive, more and more agents are looking for a way to separate themselves from their competition. A sophisticated and extremely high quality business card is one of the tools they are using to establish this separation. 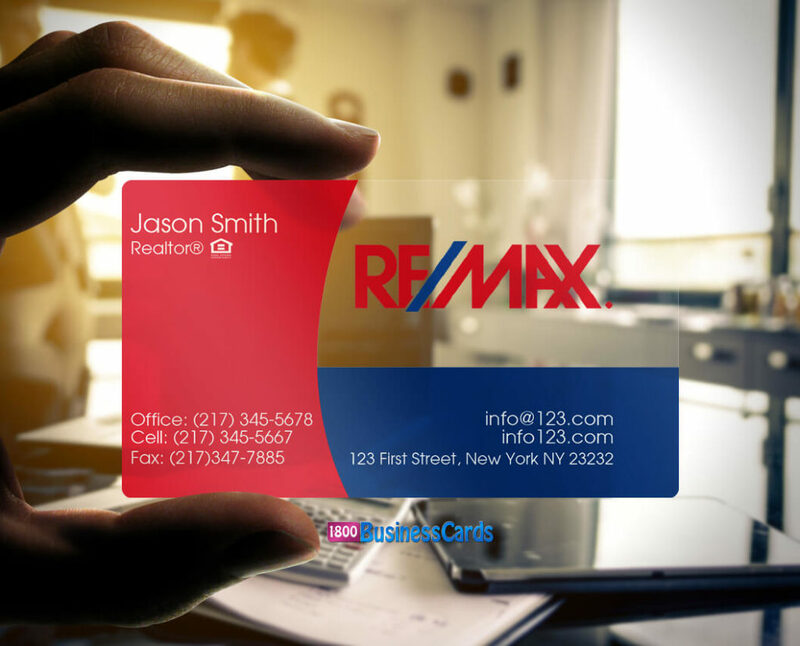 Every real estate broker or agent relies on business cards as the main networking tool of their trade. It is not uncommon for someone in the industry to hand out a hundred or more business cards in a week. In the past, the biggest concern for realtors was whether or not their business card will be available and accessible when the client needed it. Paper business cards had a way of getting lost in a handful of business cards that everybody has stored in a draw or they were easily damaged over time and discarded or rendered unreadable. Plastic business cards solve that problem by being extremely durable and long lasting, and easily recognized in a bunch of cards because of the way they stand out from paper. It is not only the durability though that has realtors moving to plastic. Plastic business cards are extremely high quality and immediately say a lot about a broker. Someone that takes such extreme care with their business card is likely just as dedicated to their work. It also connotes the idea of success as any flashy items do when compared to inferior versions of that same product. 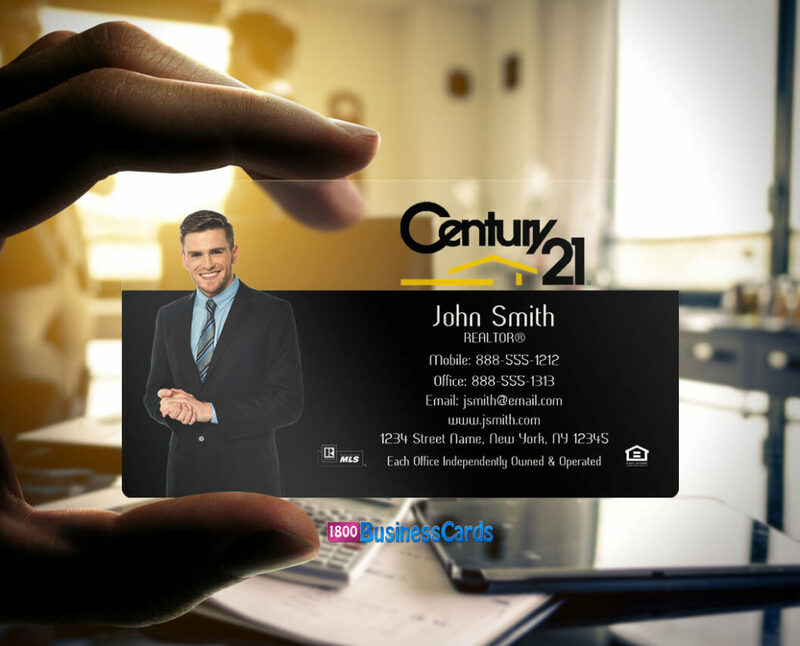 Hard working and successful, the two key components any salesperson would love to embody, an impression that a great business card helps establish. As the saying goes, “first impressions mean everything”, a great business card can be the difference in locking in a client or losing that client to a competitor. 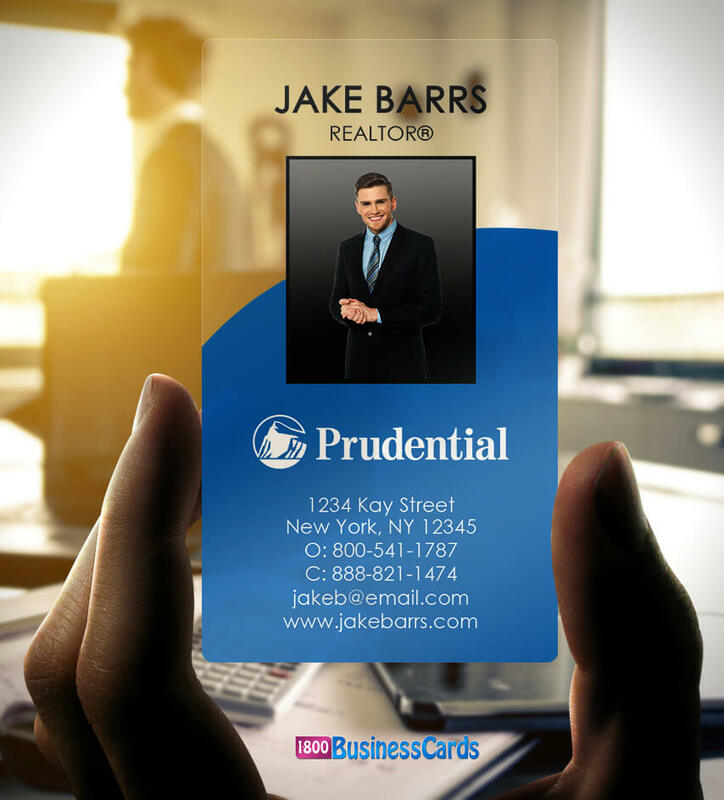 For these reasons and many others, plastic business cards are becoming the choice business card for anybody working in the real estate industry.